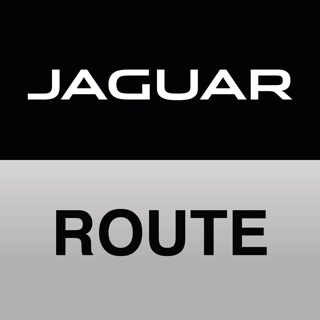 Jaguar InControl Apps enables you to use vehicle optimised smartphone apps on the vehicles touch screen by connecting your smartphone with a USB cable to the dedicated InControl Apps USB port. 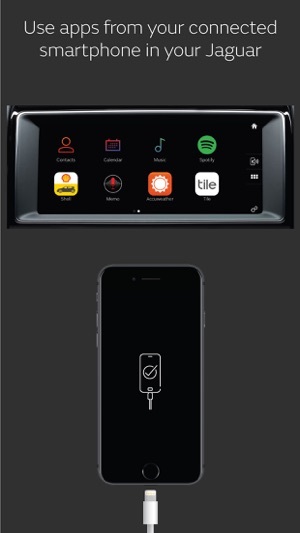 Once connected, the apps on the vehicle's touch screen have the same look and feel as they do on your smartphone. A variety of approved vehicle optimised apps such as: Contacts, Calendar and Music Player will be available, with more third party vehicle optimised apps becoming compatible over time for a continually fresh and personal user experience. Your smartphone will also be charged through the USB cable. I’ve noticed a consistent theme when it comes to both Jaguar apps I’ve downloaded from the App Store (Jaguar Remote & Jaguar Apps) - a steady stream of 1 and 2 star reviews followed by a personal experience that is no way similar to the posted negative reviews. I’ve been using this app and the InControl Touch interface for 2 weeks (primarily for Music, Pandora and AccuWeather) and i just don’t see where all the 1 and 2 star reviews are coming from. Right now this app feels exactly like CarPlay felt when I first started using in ‘16 via the Pioneer 8000 NEX system - quirky, slow and often frustrating. But is it unusable to the extent that many of these reviews would make it seem? ABSOLUTELY NOT. 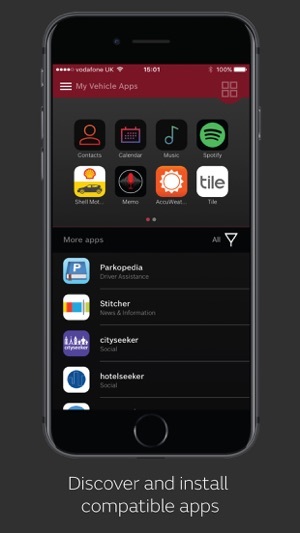 Seems like there are plenty of people clamoring for CarPlay and I hope that Jaguar (and Apple for that matter) recognize that there are many of us who don’t want the bland app icon based interface of iOS dominating every aspect of our media experience. Secondly as a Jaguar owner I want to have an exclusive Jaguar experience, and not the boring CarPlay interface which is the same on every vehicle. Long story short - Jaguar please keep developing your own infotainment experience!!! This app is the least functional car interface I have ever used. I have had my jaguar for about 9 months. I cannot do anything in regards to text messages or emails (the dealership told me the app “doesn’t play well with iPhones) the music interaction for iTunes for example is clunky and inefficient. And worse than all that is that it constantly disconnects me when I am trying to listen to a podcast. Basically anything to do with connecting to my phone either doesn’t work or works so badly that I give up on it. 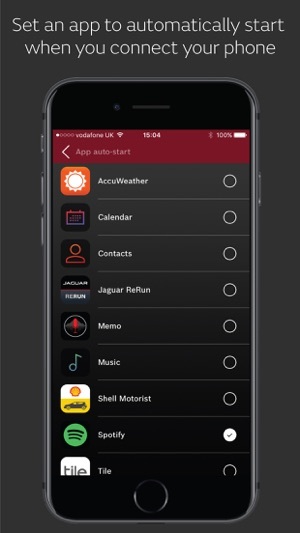 Why would jaguar create their own app instead of using the fully functional Apple car play or Google? Makes no sense. It’s incredibly frustrating in such and expensive and otherwise great car. I’ve seen some terrible apps over the years, but this one is close to the top of being one of the worst. It is complete garbage - well intentioned, but very poorly executed. If I even attempt to use it (since the latest iOS update), my phone and intouch system both completely freeze. The iPhone can at least be rebooted, the Jag... nope - you have to pull over somewhere to turn off the car, exit, lock the doors, then get back in for the system to restart and unfreeze. This app needs either a major update or to just be sent to the abyss with the rest of the obsolete apps. Amazing that the connectivity between my phone and car is much better in a $20k rental car than an $80k high end vehicle.